After a vote counting machine (VCM) “jammed” on Saturday, two VCMs malfunctioned yesterday at the Bayanihan Centre in Kennedy Town, Consul General Antonio Morales said. Morales said they were also verifying a complaint from one voter who claimed that another VCM counted two “extra” votes for senator that the voter did not cast. “We encountered two vote counting machine failures–meaning hindi binasa, hindi tinanggap ang ating balota,” Morales said during a briefing after the end of the voting yesterday at the Bayanihan Centre. “We did go through the procedure kung papaano yun aayusin pero hindi pa rin naayos,” he said. Because they still did not work, Morales said the two VCMs were replaced with their “back-up machines” after consultation with the Commission on Election (Comelec) Information Technology Department. “So, what we did was the voters in the two (affected precincts) were endorsed to another (precinct) to avoid crowding and delay,” Morales said. “These were all witnessed by our watchers. These are the measures that we took. We don’t know what caused these malfunctions in the VCMs,” he said. “Siguro hindi sanay na sobrang daming tao. (Noong Sabado) kaunti lang…But we will take action and we have enough machines to count all the votes,” he added. Nearly 1,000 Filipinos voted at the Bayanihan Centre on Saturday, the first day of overseas voting for the 2019 midterm Philippine elections. One VCM “jammed” on Saturday but the problem was fixed after it was determined that the machine was misaligned. Yesterday, nearly 2,500 Filipinos voted. 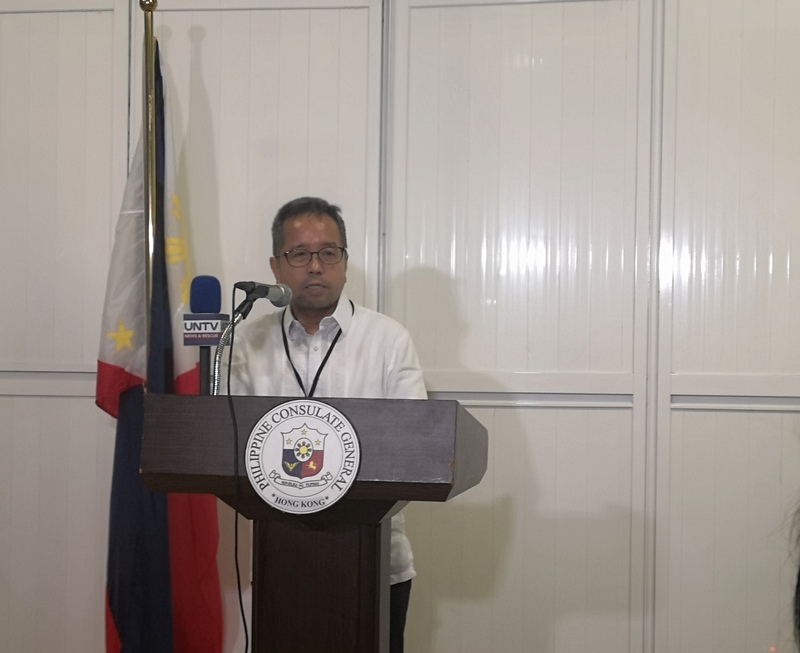 Morales said the Philippine Consulate General also reported to the Comelec the complaint of one voter who claimed that another VCM counted two “extra” votes for senator. “Sumobra daw ang boto niya sa senator kesa sa sinulat niya…Allegedly, may nadagdag daw…dalawa daw ho,” he said. The complainant undervoted, or did not vote for 12 candidates for senator, but then claimed that the voter’s receipt showed that the VCM had counted two “extra” votes. The complainant reportedly voted in Precinct 1 at around 10 a.m. on Saturday. “Fortunately, there is only one case. It does not establish a pattern,” Morales said. “Hindi ko naman sinasabing nagsisinungaling ang ating mga kababayan pero ang memory naman natin hindi eksakto. Minsan nagkakamali rin tayo,” he added. Morales said that the complaint was still “subject to verification,” noting that there was only one such complainant out of the 3,400 registered Filipino voters who cast their votes over the weekend. “Nireport din natin yan but this is subject to verification dahil hindi naman natin—wala naman tayong ibang ebidensya na nakakita because of the secrecy. But we duly reported that to the Comelec,” Morales said. He added that there were also two “spoiled ballots” yesterday after two voters inadvertently left marks on their ballot’s bar code. “I will talk to (Comelec) Commissioner (Rowena) Guanzon (today) para ipaalam ang ating naranasan. We will continue to conduct voting until May 13,” Morales said.